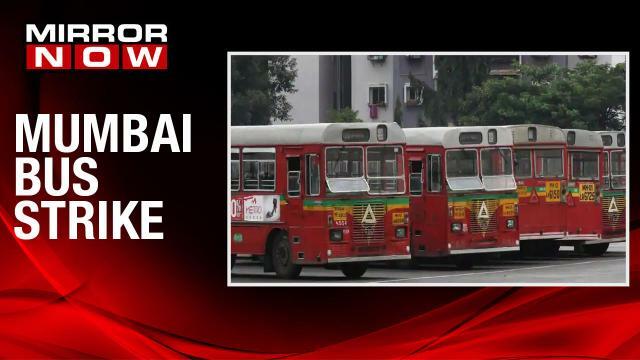 Aamchi Mumbai Aamchi BEST (AMAB) is an independent forum of citizens for public transport. While the workers may be on strike at the moment, it is important to highlight the fact that the BMC and BEST Management have been on an _investment strike_ for several years now – by refusing to invest in the improvement and expansion of the city’s public bus service. Instead, they have been single-minded in their dedication to promote an energy guzzling, land intensive, polluting, and exclusive car-centric transport system. The administration has been lavish in doling out thousands of crores in public money to service car owners, but turns mean and miserly when asked about the bus system. The BMC has been focused on the Coastal Road _instead_ of bus priority lanes; private contractors _instead_ of commuters; BEST’s so-called ‘inefficiencies’ _instead_ of the city’s worsening pollution and congestion; convenience of private motorists _instead_ of safe, affordable and sustainable public transport. Furthermore, from time to time, the BEST has rightly termed BEST an ‘essential service’ under the Essential Services Maintenance Act, but only when it wants to prevent or ban strikes. When it comes to reducing the fleet, manpower, and services, and to hand over operations to private contractors, the BEST management treats BEST as a _’non-essential’ service_ – primarily concerned with its so-called “losses” rather than with the scale, scope and quality of service. We, AMAB have outlined a workable, inexpensive, and efficient approach for the revival of the BEST’s bus services. We have showed how BEST can (1) Increase bus ridership, (2) Improve BEST’s service quality and reliability, (3) Improve its coverage and access. For almost two years now, we have been asking for an appointment with the Municipal Commissioner Mr. Ajoy Mehta to explain our plan – that includes means of financing operations, subsidies, introduction of bus priority lanes, integration between different transport modes, planned expansion of fleet, etc. However, our repeated requests and proposals have been ignored. It is clear that the BMC and the government do not want to hear or consider any sensible means to address the problems of city’s affordable public transport service. They continue to remain dogmatic, autocratic and tightfisted – pushing through their privatization plans, refusing to subsidize and finance its operations, cutting down routes, increasing bus fares, and denying workers their dues.